Why care about ‘why do we care’? This is a post about that old writing note ‘but why do we care?’ Sometimes also appears as ‘it was alright but I didn’t really care about her/it/them’. I’ve heard it and, god help me, probably said it enough times. There are many, many things we can get out of a performance – intellectual stimulation, information, challenge, amusement, shock, even (one performance by Forced Entertainment in particular comes to mind) the peculiar meditation brought about by beauty coinciding with boredom. Why does empathetic engagement (or ‘caring’) get privileged so much in criticism of plays? To answer – a digression of sorts. I’ve just got back from holiday (it was very nice thanks). We were staying in a house my family have had since I was born forty something years ago. The books in it have accreted over that time period and are a mixture of classics, airport blockbuster types, children’s and sci-fi; four decades of family holiday reading. 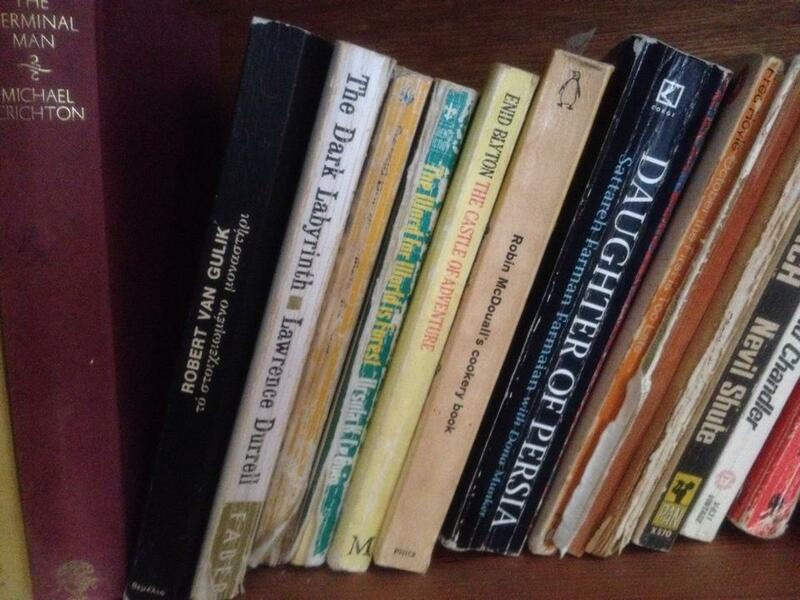 Casting around for something to read in the odd moments I wasn’t chasing after three small children, I came across ‘The Summer before the Dark’ by Doris Lessing. Now I love Doris Lessing – Golden Notebook is up there as one of my all time favourite books and I reckon I had to have read this as the edition dated from early 80s (written mid 70s) and it was falling out of its binding state of well read. But funny thing was when I started reading it I couldn’t remember a thing about it. Which was odd because it is bloody brilliant. The protagonist is 45 year old mother of 4 children and every sentence utterly nails the experience of being a mid 40s woman. So I’m reading and admiring the book and wondering how I didn’t read it before and then three-quarters of the way through a young woman character enters the story. And I can remember everything. In vivid detail. Not only can I remember it the image of this young woman – sitting in an evening dress, eating baby food from a jar, has been lurking in my mind for years without knowing where it came from. And the answer is that when I read it I was (probably) a teenager, closer in age to the young woman and the state of a mid 40s woman was a strange and distant country. Emotion points attention (there is a lot of good neuroscience research in this which at some time I am going to look into). Emotion makes memories. Emotions are easier to engage with people whose experience reflects our own. All things we generally ask for in plays – get the audience’s attention, engage them with what is happening, make them remember it. At some point in some way a good piece of theatre will engage with our emotions. There are a couple of things I take away from this. First – there are a whole range of emotions that can be generated by a work – excitement, fear, surprise, suspense – caring for or about one or more of the characters is one option. A particularly useful option when it comes to protagonist dramas (on which much more to come) but still only one option. Rather than why do we care? maybe a better question is what does this play offer? or what will it feel like? Equally difficult/impossible to answer, especially if you are the one writing it, but at least not reductive to one mode of emotional connection. Second – and this goes out especially to my fellow play nerd/literary friends who will tend to read rather than see the play – just because I can’t feel it doesn’t mean it isn’t there or that it isn’t good. I had a recent experience of this reading a play about three young men on a stag do. I couldn’t get any purchase on the play – probably the wrong age as much as wrong gender. That doesn’t make the play worth less because I can’t get a handle on it. It is always important to check what perspective, and assumptions, we bring when reading a piece of work, and get another opinion if necessary. Which is not to say caring for or about a character in the play is a bad thing – a lot of the time it is a very important thing especially if you are writing a protagonist drama – but that’s a post for another day. Soon (well soon-ish) I will post some proper play writing things up. But before that I want to talk about risk. I want to talk about it particularly from the position of being a mere 5 hours away from leaving a job, a great job, a job I have loved, after 12 and a half years in order to become a freelance director and dramaturg. And I really don’t know what is going to happen next. I know a bit about it. I will be directing a new play Conscientious and I am hoping that those nice people at West Yorkshire Playhouse will be bringing me back to do some dramaturgy on a new play. I know what I can do. I know what I want to do. And I know a bit about how I think I can get there. But there is huge amounts I don’t know about this future and as I take a big leap out of security it is a leap in to the dark. And that is how it should be. Every time you write, every time you start to make something, begin a new project, start a new life it is a risk – some bigger, some smaller. But we can’t and shouldn’t know what it will be. Because that means we aren’t trying something new, something we or maybe anyone else in the world has ever tried before. And there are hundreds of books on risk and how taking risk is the only way to success. Yeah – and it’s the way to failure too. That play might not work, that production fail in what it tried to achieve. This move to see what my own work is, my own career, may indeed end in failure – I won’t do what I want to do. But I will have tried. And I know that the risk is greater because this isn’t just about me, it is about my family too. And that is why taking risk also means having a safety net somewhere. So that a theatre won’t go bust because a production doesn’t work. A playwright won’t be written off because that play was bad. And as a society nobody will hit rock bottom. We don’t achieve this of course – theatres fear a box office failure, writers bad reviews and our welfare state is tattered and torn. But those things should be there for ALL of us. Because without those safety nets there will be no risks taken – and art, life, business, society needs risk taking. So here we go. Write the first line. Make the first move. Start the new life. Trust what we know and what we’ve done will get us where we want. Or maybe somewhere more interesting instead. What is a Play Nerd? Do you like plays? Do you watch them? Make them? Eat, sleep and obsessively follow Twitter about them? Then welcome, you are a Play Nerd. This website is a home for all those making, watching, listening, studying and generally hanging out talking about plays. Here you will find topics on all aspects of performance and play making. Plus a few fun nerdish facts along the way. My name is Alex Chisholm and I am a Play Nerd. Also sometimes known as a dramaturg. That means I help people make plays. Sometimes I’m working with a writer or writers, working on a text. Other times it might be working with a company developing a production. Sometimes I direct plays, sometimes I produce them. I love working on all kinds of plays, in all kinds of ways. Please check out other pages here for ways I may be able to work with you. I am particularly passionate about working with the new, the young, as wide and diverse range of people as possible. It makes life, and art, that much more interesting. By plays, I mean every form of performance you can think of and maybe a few we can’t think of yet. Everything from one on one performances in a cupboard to large community events, as small as a tweet, as wide as your imagination, written, devised, with words or without: they are all plays. So drop in: comment, suggest, question and contribute. I look forward to play nerding together.